Most of us think a healthy climate will result from emissions reductions. Time and again however, the science says this is not so. The reason? Emissions reduction strategies are about 30 years old and we have emitted as much climate pollution in about the last 30 years as we emitted in the previous 200 years. It was in 1988 when when emissions reductions were first suggested on a national stage with James Hansen’s Congressional Testimony. (Hansen was the director NASA’s Goddard Institute for Space Studies, the main U.S. national climate modeling agency.) This testimony showed that observations and modeling were likely the cause of warming already experienced and that deep emissions cuts beginning in 1990, and reaching net zero by 2000, would halt warming at a temperature about 20 percent higher than in 1988. The reason for the increase in warming–even if we halted all greenhouse gas emissions–is that our oceans and ice sheets warm much more slowly than the atmosphere. They cool our climate until enough heat has been absorbed for our total climate system to stabilize. Today’s science shows that because of delay, of course warming has increased. But due to such a large increase in greenhouse gases in the atmosphere since 1988, if we halted all emissions today warming would increase another 50 percent, not 20 percent. With the understanding that weather extremes caused by warming have radically increased, and that future increases will be more pronounced because far more greenhouse gases have been emitted lately, can we return to a healthy climate with emissions reductions alone? The answer is no; emissions reductions alone will not allow us to return to a healthy climate–they allow increased warming, not reduced warming. So why do we continue to hear that emissions reductions alone are the cure? 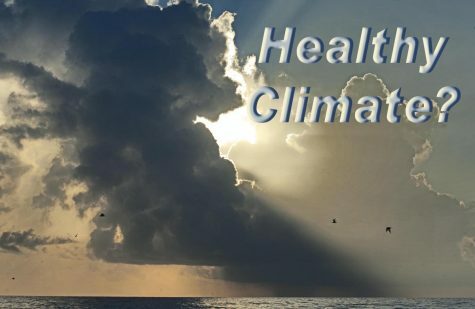 The primary goal of the Healthy Climate Alliance is to change climate culture from an emissions reductions alone strategy that allows continued warming, to one that can actually reduce warming by removing the already emitted climate pollutants from our sky.